Will show how to make this flaps and the insert tags also fits in the pocket under. 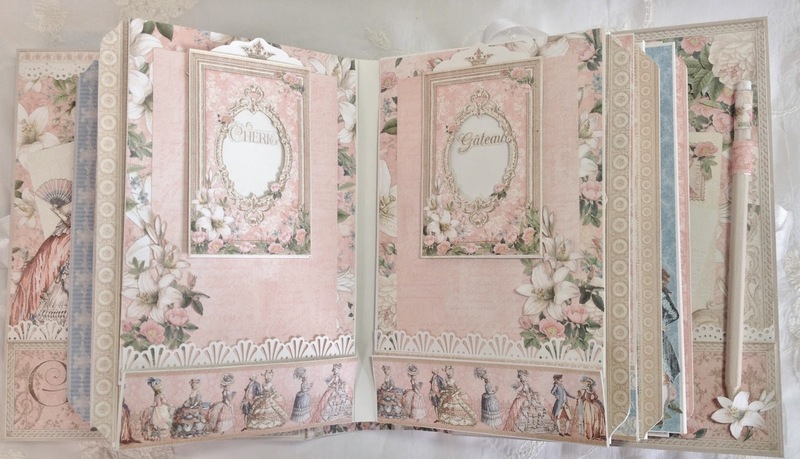 This pages are a sort of matchbox style and the flaps have room for pictures and journaling. Border on the tag inserts matches to each other. Front of right tag insert. With a photo mat and tag. Used a Martha Stewart border punch on the edge of the flip ups. Hi Anne , love this mini album. Can't wait to see how to put this album together. I am going to use this tutorial to make a wedding album for my niece who is getting married in oct. But I have to have it made very soon for her shower. How many parts are there to this video series?